John Hartson can hardly believe that he is watching the same man on the touchline. The colours remain firmly green and white, with grey or black, but down in the technical area Neil Lennon appears to be a man transformed as he drives Celtic on towards a treble treble. Hartson doesn’t hide his support and admiration for his old team-mate but he’s not blinded by his flaws. There is a balancing act between showing controlled passion to get results and allowing it to spill over and become counter productive. Since taking over from Brendan Rodgers on a caretaker Lennon has been without a number of key players with Tom Rogic, Ryan Christie, Olivier Ntcham and Filip Benkovic all recovering from injury. Christie and Rogic were in the wars at Hampden on Sunday but there wasn’t a single picture of a ‘fuming’ Lennon booting over bottles or screaming at match officials. 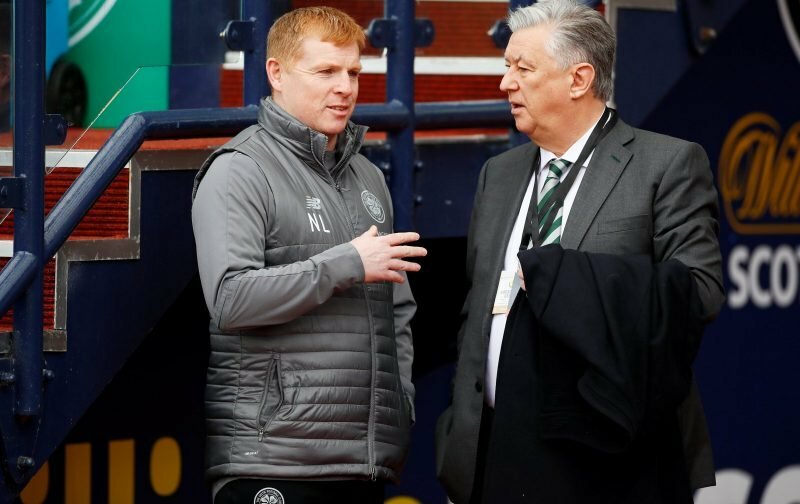 Despite the speculation swirling around about who will get the manager’s job on a permanent basis Lennon has distanced himself from the issue.